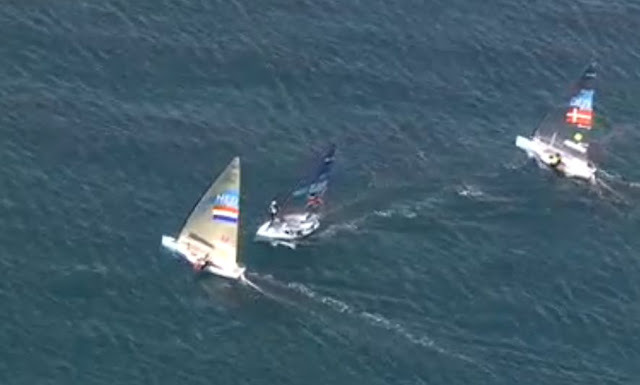 There were 2 really close races that were determined at the very end. But in an incredibly close finish, there was more pressure for the boats closest to the camera and GBR (furthest away) was passed by 3 boats. 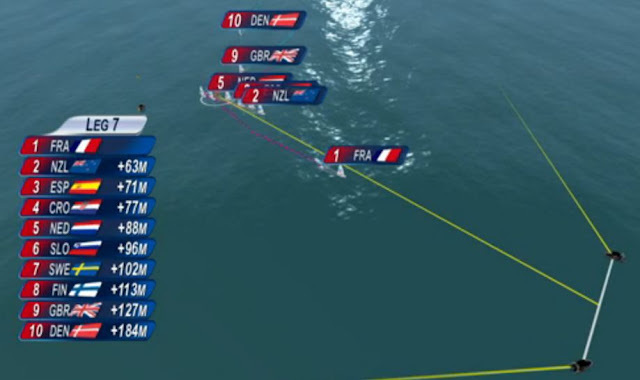 SWE wins gold! 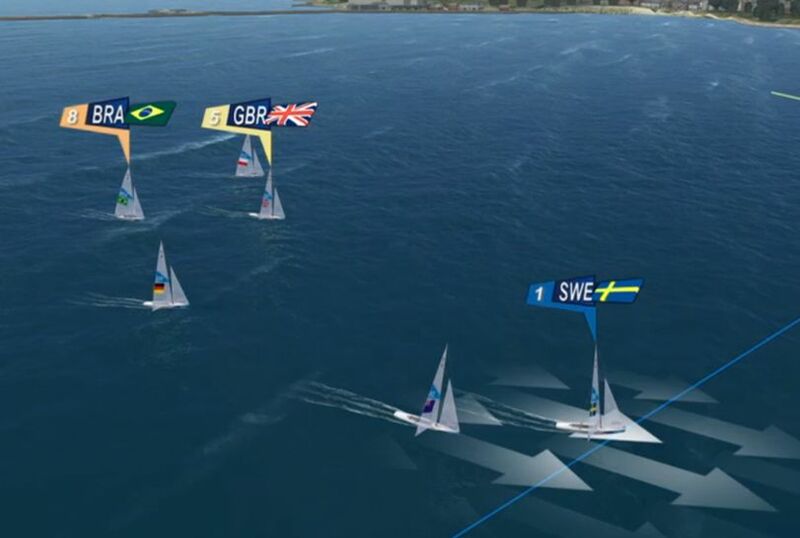 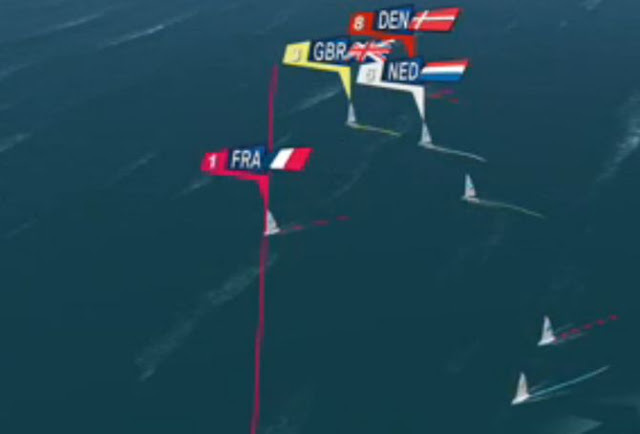 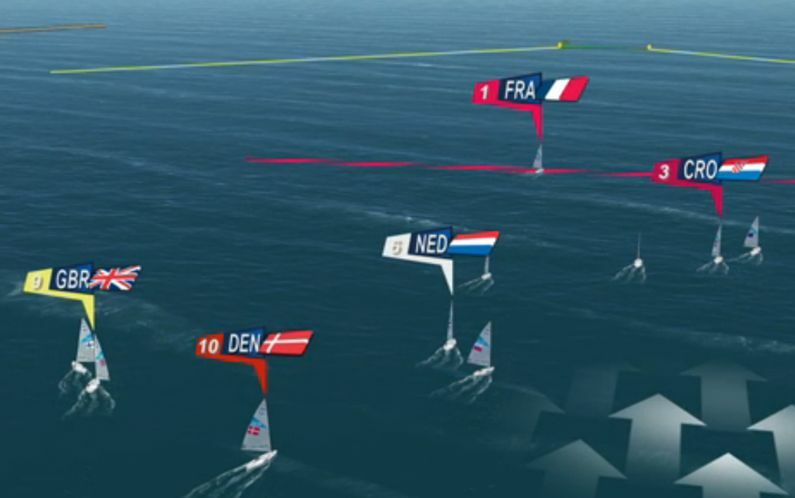 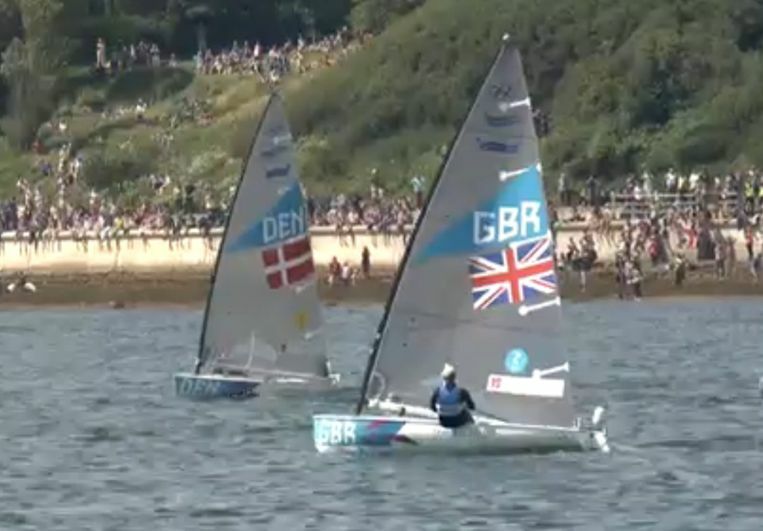 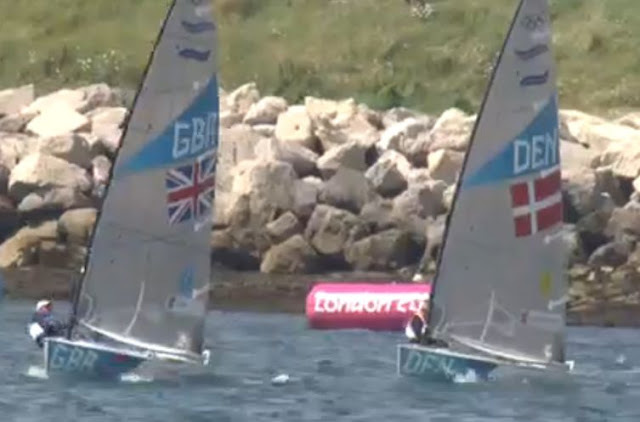 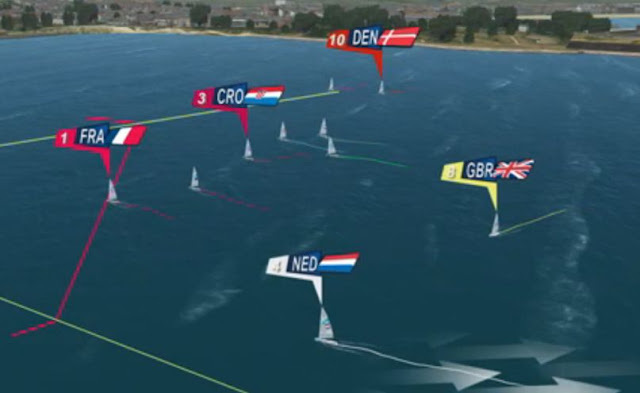 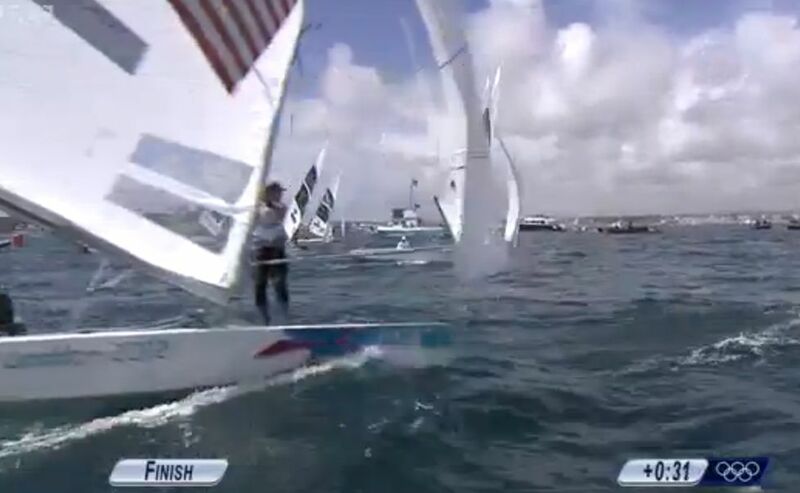 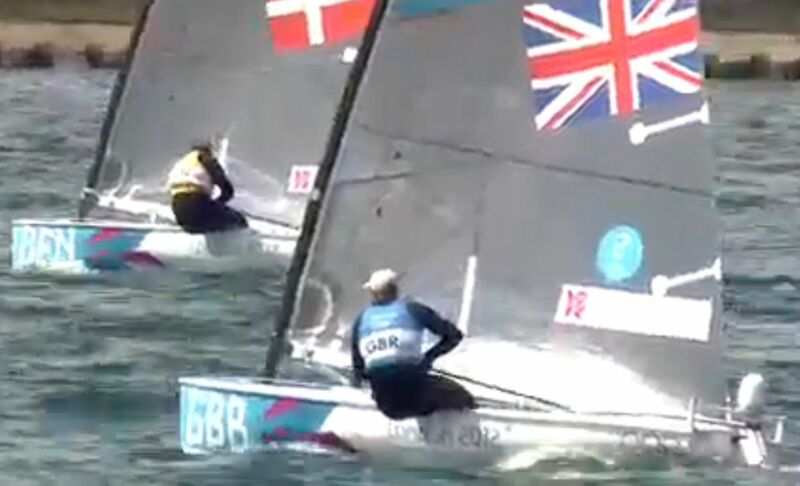 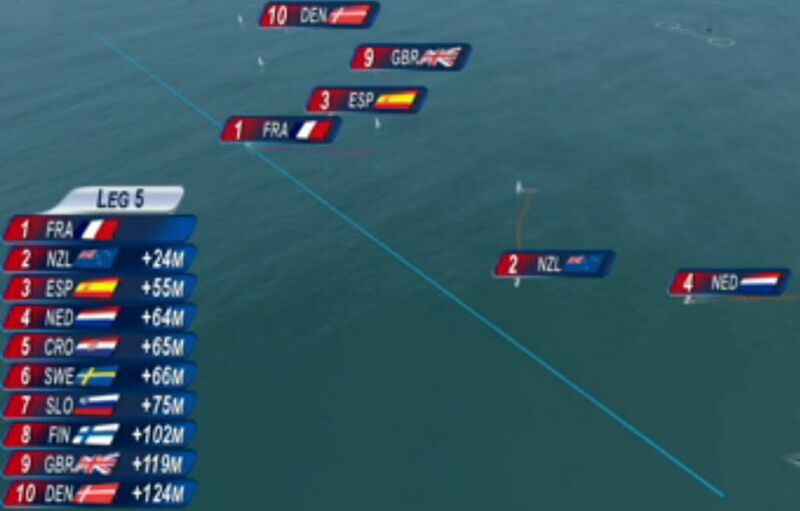 On the final run, DEN cannot catch GBR, but if NED is able to pass NZL to move get onto second, then NED would win a 3-way tiebreaker for the gold!! 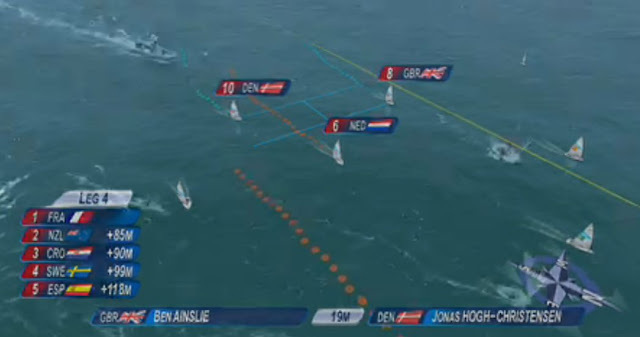 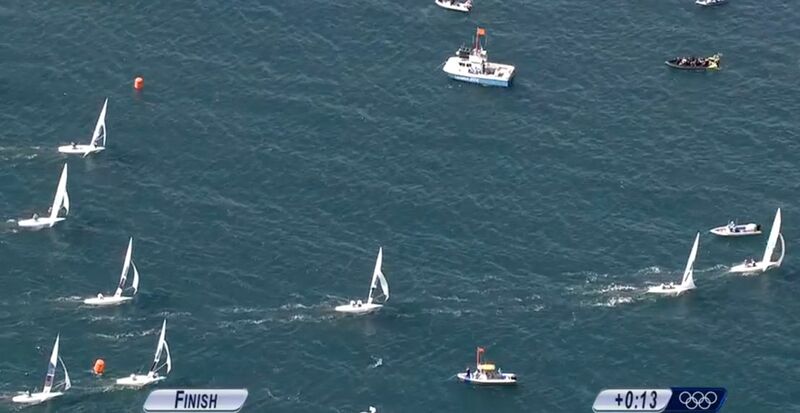 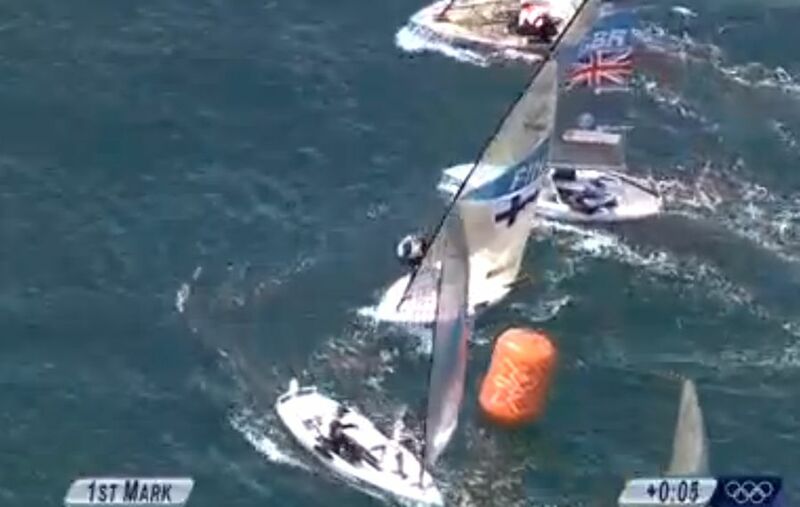 So Ben Ainslie wins the tiebreaker with DEN and his 4th gold medal. Well done! 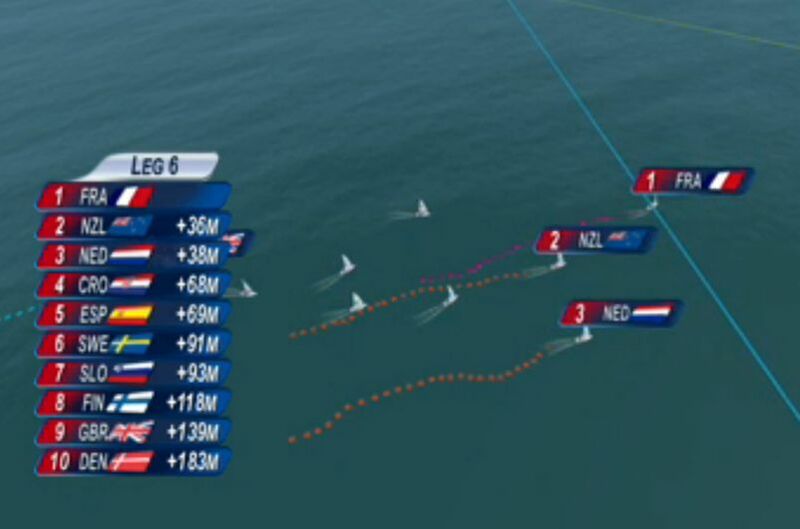 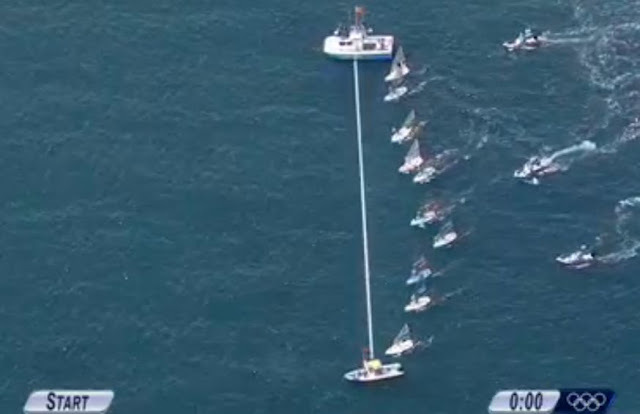 Update: Apparently NED's boom hit NZL's weather deck and had to do a 720 penalty turn. 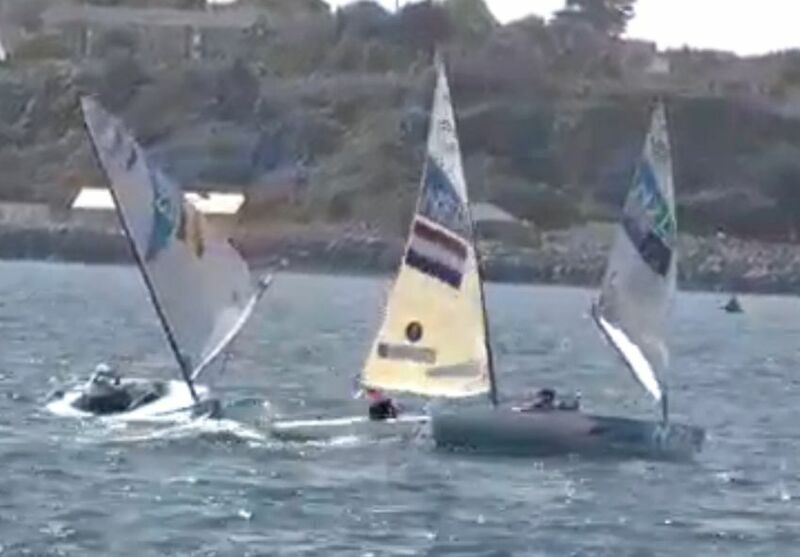 With an inside overlap and short reach to the finish, NED had a good chance to finish 2nd and win the gold on the three-way tiebreaker. 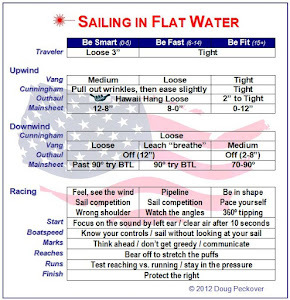 And sailing history would be different. Amazing racing! 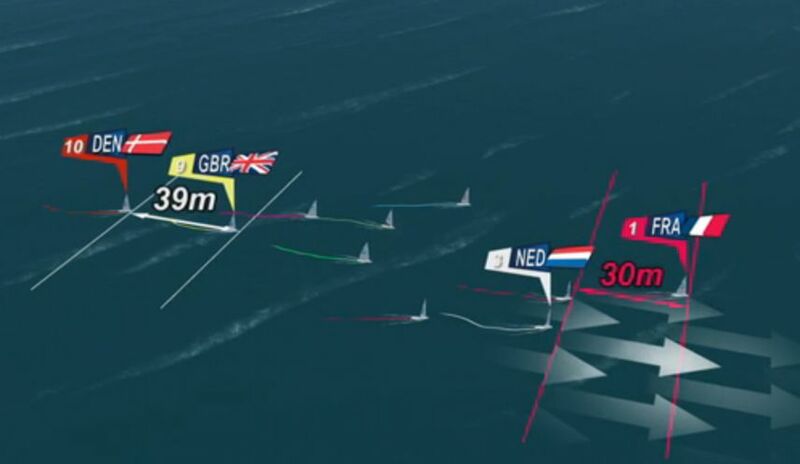 Thanks for the info... 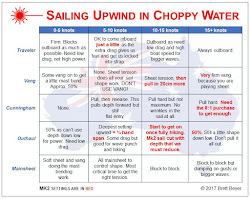 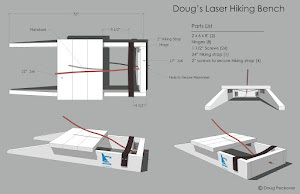 I'll update our blog. Where did you see this?